Our Patient Participation Group is encouraging patients to give their views about how the practice is doing. 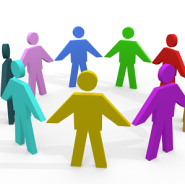 We are always seeking new members to join our patient participation group. If you would like to be actively involved, to discuss the changes in the NHS, either by attending meetings or via email, then please send your contact details to the practice manager, Martin Bell, either via email martin.bell1@nhs.net or call on 0191 371 0232. Presently, we meet up at present, bi-monthly in the surgery to discuss any practice issues, new and old. We ask for views on any changes the practice are considering. The months we meet are: January, March, May, July, September and November. You are welcome to come along on the second Wednesday of these months at 2pm.